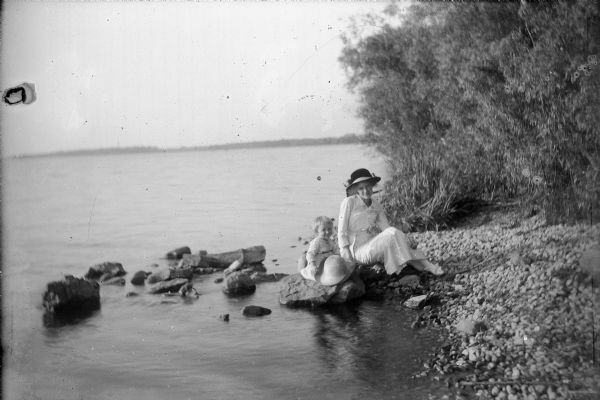 Wearing a long, white dress, white shoes and a large, ribboned hat, Mary Ansorge poses on a large stone on the rocky bank of Lake Winneconne. Her daughter, Betty, sits on a stone beside her, smiling and holding a large straw hat on her knees. Dense foliage is on the right. The distant shore of the other side of Lake Winneconne is in the background.